There are 4000kms between Sydney and Timor-Leste but that distance means nothing to these youngsters at St Patrick’s Primary School at Kogarah. 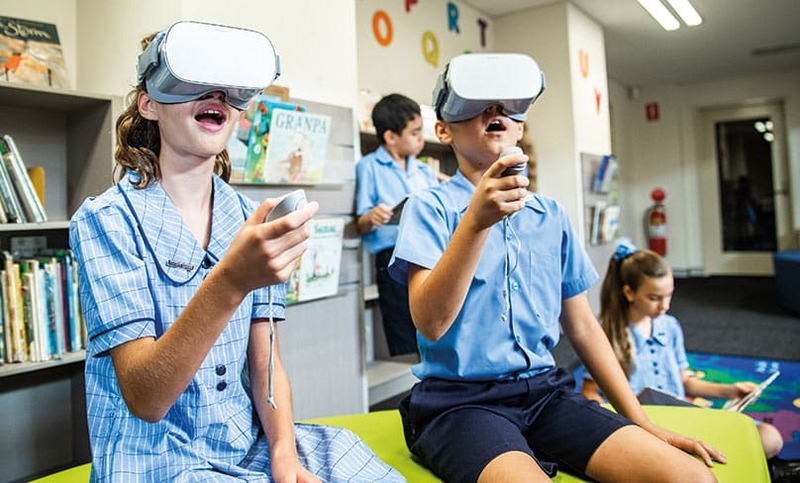 The Year Six students were among the first to be transported to Kasnafar Primary School in our neighbouring nation without leaving their classroom, thanks to cutting-edge virtual reality technology launched this week. Students ‘met’ nine-year-old Maia, her siblings, mother, classmates and teacher. The vivacious little girl who wants to join the police force when she grows up took them through a typical school day, beginning with helping her mother wash the breakfast dishes in their simple home without running water. The experience was launched by Mary MacKillop Today, a not-for-profit organisation which continues the works of the Sisters of St Joseph in under-developed communities. 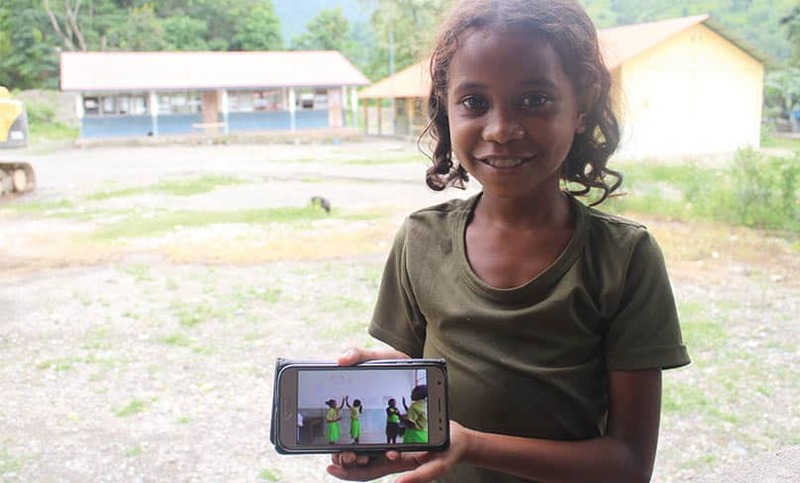 Utilising Google Cardboard VR devices which work with mobile phones or, for senior students, stand-alone VR headgear, the 360-degree immersive video experience gives children and teenagers an insight into what life is like for a child in Timor-Leste, which still faces challenges such as a literacy rate of just 58 percent. “Our aim is to encourage children to be good global citizens and understand the world outside the country and suburb they live in,” said CEO of Mary MacKillop Today, Kirsty Robertson. Kirsty visited Maia and her family last month and said they were delighted with the video. “It was amazing for them to see themselves on a screen like that and realise how kids across Australia are going to hear her story and connect with her,” she said. St Patrick’s school captain Samantha Kubina said the VR experience was “really cool” and made her feel as though she had spent some time with Maia at her home and school. “She plays some of the games with her friends that we play at lunchtime,” she said. Fellow student Kosta Marangos said it was an exciting way to learn about life in Timor-Leste. “I felt like I was there, and I learnt two words, ‘kaboti’ means blanket and ‘bola’ means ball,” he said. The VR immersion experience was launched on 8 February and will be delivered to classrooms across the country on request as part of Mary MacKillop Today’s social justice workshops. Kirsty hopes it will help with fundraising efforts for the developing nation. “We have already provided Maia’s volunteer teacher with basic teacher education and some resources for the classroom such as books, puzzles and games, a water system so they can wash their hands and some basic health promotion.